Photo 7459. 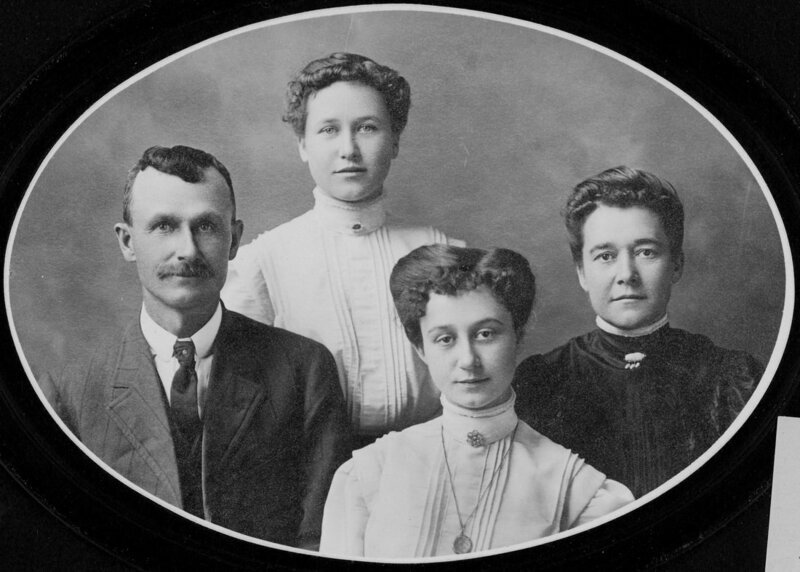 John L. & Lillie Harman Aylor, with daughters Mary and Alma. Shared by Ronnie Gilbert. The photo does not identify which is Mary and which is Alma, but based on later photographs of Mary, she is probably the one in the back. This is Photo 7493, shared by Ronnie Gilbert. Ronnie is center front, with siblings Larry and Diane. 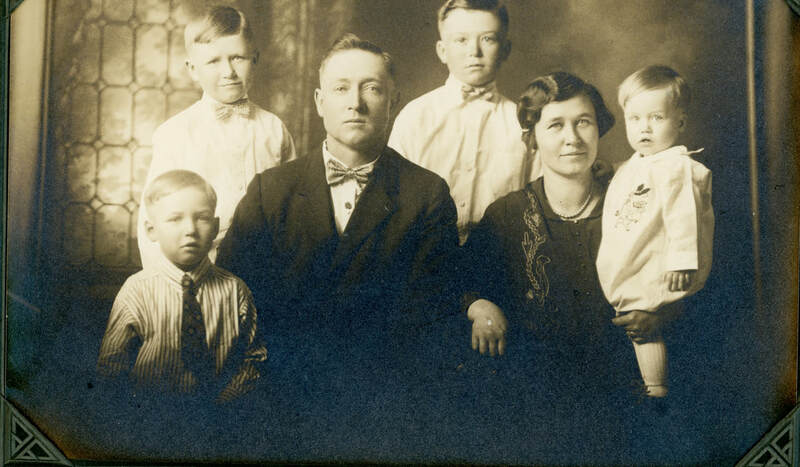 In back are his mom Irma, his aunt Dorothy Gilbert holding his sister Patty, his grandpa Edgar Gilbert, and his dad George. Diane Gilbert Senft confirmed who is who and said that her grandma (Mary Gilbert) must have been taking the picture.